Greetings from Memphis, Tennessee. I am a proud owner of two electric vehicles and the JuiceBox Pro 40 level 2 smart charger. As someone who works in the liquid chemical transportation industry, it may surprise you that I am also a major fan of electric vehicles. In 2015, I ditched my 2003 BMW 330i ZHP for a BMW i3 REx, which hallmarked my first electric vehicle. I always admired small, lightweight and efficient cars. So when I first saw the concept BMW i3 with its carbon fiber & aluminum frame, I fell in love and had to get one. The driving experience of the i3’s electric powertrain was so intoxicating, that I’ve been converted to a real EV enthusiast. 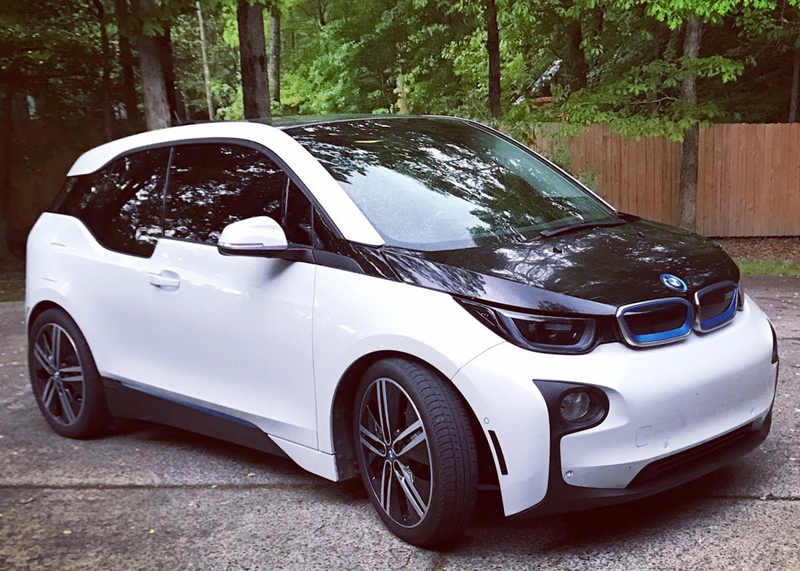 When I first got my i3, there weren’t a lot of electric vehicles here in the Memphis area. However, recently they have begun to really become more common, and in particular I’ve noticed quite a few Tesla Model 3s driving around the area. That’s great to see, but now I have to compete for the few public charging stations when I need one. Whereas in the past, I was one of the few EVs on the road here, and could usually find an open public charger whenever I needed it. I’ve had my JuiceBox Pro 40 for a couple of years now and anticipate it will continue to stand the test of time. Before upgrading to JuiceBox, I had mostly charged at home with the level 1 (120-volt charger) that came with the car. However, the level 1 charger only delivered about 4 miles of range per hour of charging. After 18 months of a slow charging routine and product due-diligence, I decided the JuiceBox Pro 40 was the best match for my needs. Compared to other high-end chargers, the JuiceBox offered WiFi connectivity, an app with smart scheduling, charging records and notifications. I have to admit that even though I liked the styling of the other chargers more, I was more impressed with the JuiceBox’s power delivery and price. I knew the JuiceBox Pro 40 was the better buy. We are now a two-EV household, and the JuiceBox charges both our BMW i3 and our Nissan LEAF SL. 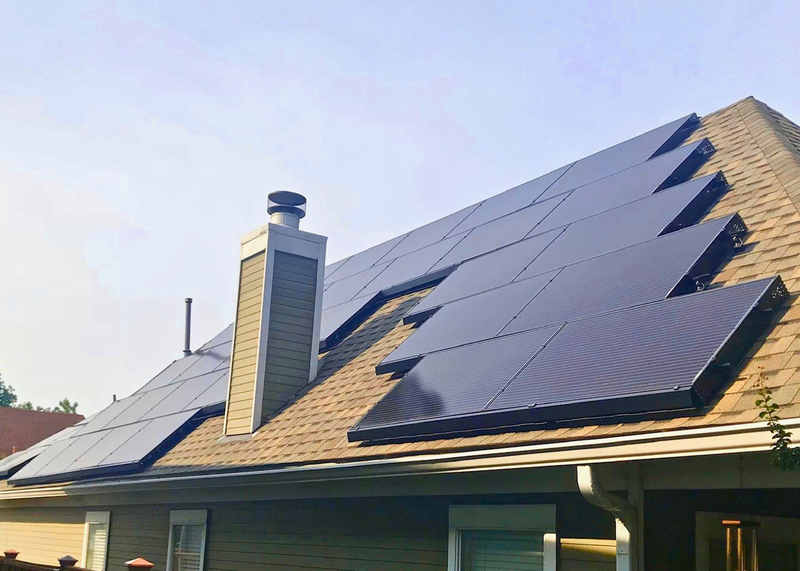 Even though neither of these EVs can charge at the 9.6 kW maximum rate the JuiceBox Pro 40 can deliver the higher power, which is one of the primary reasons I chose it over other units. I know I’ll be driving electric cars from now on, and I didn’t want to buy a charging station that would be considered underpowered in a few short years. Since the JuiceBox Pro 40 can deliver a full 40-amps, I know I won’t feel the urge to buy a higher-powered unit in a few years when I get an EV that can charge faster than my i3 or LEAF can. 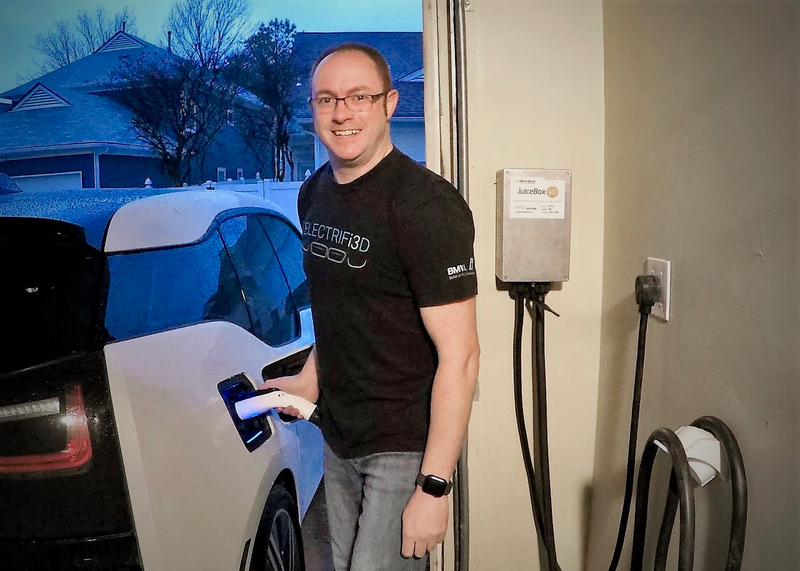 With two electric vehicles in our household, we have come to appreciate the JuiceNet smartphone app as well, because it allows us to set a charge limit that early LEAF models wouldn’t allow. By setting the charge limit, we conserve the battery life, because the LEAF doesn’t have an active thermal-battery management system. Additionally, we have now started doing the same with our i3 as well. Yes, the i3 does have a sophisticated active thermal management system, but my i3 has already lost about 13% of the battery total capacity. While Battery Management Systems (BMS) vary, limiting charging to 80-70% may help your battery last longer. This article from PushEVs goes into detail explaining its findings on this topic. We are hopeful this new charging regiment for the i3 will prevent or at least help to slow down further degradation. In less than four years, we have switched from two ICE vehicles to two EV’s and a photovoltaic (PV) solar electric system. The switch has been easier with a reliable at home charging station. It is something that we do not even have to think or worry about, it just works, and we’ll likely get another JuiceBox in the coming year, so that we don’t have to share the current charger. Since the JuiceBox can load-share, we don’t even have to install a second dedicated circuit, which will save us thousands of dollars by avoiding a second installation. As someone that has converted to electric vehicles, I’ve been really happy with our decision to buy a JuiceBox Pro 40. It’s done everything we need it to, and has done so without any problems. I urge anyone in the market for a home charging station to do their homework and research the different units before buying one. I know Memphis hasn’t exactly been a hotbed for EV adoption, but I’m encouraged to finally start seeing more and more EVs around town. I’d happily recommend the JuiceBox to anyone new to the EV market, as well as to an existing EV owners that want to upgrade to a smart-charger. I spent months reading customer reviews, participating in online discussions and talking with friends before making my decision, and that paid off. I got the best charging station for LESS than other charging stations. Soon, we’ll have two JuiceBoxes in the garage. Then, down the road when we finally convince my mother-in-law to get an EV, I’m sure a JuiceBox will find its way into her garage as well. There’s really no reason to look anywhere else.